Just ten days or so ago Henry wrote that Chuck Tilly had won the SSRC’s Hirschman Prize, and linked to a classic paper of his. Tilly died this morning. He had been battling cancer for several years. Among Tilly’s negative distinctions he prizes 1) never having held office in a professional association, 2) never having chaired a university department or served as a dean, 3) never having been an associate professor, 4) rejection every single time he has been screened as a prospective juror. He had also hoped never to publish a book with a subtitle, but subtitles somehow slipped into two of his co-authored books. I saw him speak on several occasions and met him a few times, too. I particularly remember him giving the Mel Tumin lecture at Princeton, and a great chat I had with him in his office at Columbia. He was a small, wiry man who always seemed to be smiling and, like a true Weberian charismatic figure, he seemed able to transmit some of his own brio to you as he talked. >>Among the speakers at the first panel discussion was Charles H. Tilly, a professor of sociology at Columbia University. Mr. Tilly dispensed almost entirely with the Gunpowder Plot itself, plunging his listeners directly into questions about the definition of terror (which he also discussed in a March 2004 paper, “Terror, Terrorism, Terrorists,” published in the journal Sociological Theory). After demonstrating the elasticity of the definition (the state, as well as individuals and groups, can practice terrorism), Mr. Tilly snapped it back to some questions at play in the Gunpowder Plot and in contemporary terrorism: How does the state use the threat of terror to justify torture, which was used to extract confessions from some Gunpowder plotters? Do public rituals, such as the annual bonfires to commemorate the Gunpowder Plot, demonstrate the unity or the vulnerability of the state? And I remember that puckish anti-bio, too. I didn’t know Tilly well at all (and I doubt he even remembered me), but at Michigan, where he and I overlapped, not being the chair of the department was a privilege devoutly to be desired by senior faculty, since it was regard as an onerous responsibility. The fact that he was able to dodge it is evidence less of his humility than of his clout. The one time (in seven years I was there) he actually bothered to show up for a department meeting we stopped everything else we were doing, dealt with the one item on Tilly’s agenda (to his satisfactio, as it happened), and then resumed our mundane workaday non-Tilly business after he had left. He may well have been a great scholar and a hell of a guy – I have no reason to doubt it – but he was not inconsequential, even 30 years ago. This is very sad, it brought tears to my eyes. Dr. Ngo, I suspect he would remember you. He seemed very good at that. I remember contacting him on email about something when I was a graduate student with the the necessary intro about myself so he had some context for who I was. He graciously replied – with a very quick turnaround – and said that he knew who I was. To this day I don’t know why or how. When I got to meet him, he was humble and nice. He was a truly great man. But I can’t believe I have to write that in past tense now. I, too, remember his Melvin Tumin lecture. I’m glad I got to see him give a talk at some point and also had the chance to meet him in person. Many years ago, I failed my prelims in U of M Sociology. Chuck Tilly was in charge of the giving me the sad news — He encouraged me to try again, pointing out if I had scored one grade better on any question, I would have passed. He was right, I took them a second time and passed, and earned the degree. He was a kind and generous man, who paid attention to the all of the students, even the worst in the department. He was the most extraordinary mentor I was privileged to have had in my academic life. He listened to my half-cocked ideas carefully, saw in my unfocused thinking the promise of an argument, and twinklingly made suggestions that only years later I came to realise were what my project was all about. We, all of his students at Columbia, were awed by his emails timestamped sometime before 7 am, always responding to our queries within a day, and sometimes sooner. Despite the fact that he had, at some point, over 40 PhD supervisees, it was not unusual for him to send 4-5 pages of comments on a dissertation draft, and the door to his office, filled with books and music and beautiful objects, was always open. Though I am only one of hundreds of supervisees he led through their early research projects, and only a recent one at that, I shall miss his mentorship, and we shall all miss his dignity, grace, generosity, humour, impish twinkling eyets, and extraordinary intellect. A sad loss. I haven’t read enough of his work, but the pieces that I came accross were superb. Unjustly and irrationally ignored by much of the IR community, even though much of his corpus related to the kind of issues that IR theorists really ought to be theorising about. There is no doubt in my mind that Charles Tilly will be remembered as one of the greatest sociologists of the 20th Century, and that we will still be reading his work a long time from now. Laleh really captured how my generation of Chuck’s advisees felt about him. From discussions with others, I think our boundless gratitude–and our sense of amazement that he made nearly all of us feel incredibly important–is pretty universal. research program whose results the newcomer can report in a doctoral dissertation. Not a personal recollection – at least not about the man – but back in the early 1990s I was somewhat involved with a research project on the development of Danish public administration from the middle ages onward. Obviously Tilly’s analysis of the development of Western European states was among the sources inspiring the work. This is a loss that cuts very deeply indeed. I join the chorus of voices, most eloquently expressed by Matthew and Laleh and Dan, to testify to the awe, admiration, and sheer gratitude that his advisees felt toward him. Chuck was a great scholar and a great man whose intensity and brilliance were matched by his warmth and generosity. I feel privileged to have been a student of his, and I feel lucky to have known him, however slightly. I wish I could be at Columbia right now, to share my memories of him with my old colleagues. And I wish I could have a final few minutes in his office with him, with Beethoven playing in the background, and Chuck riffing on one of the first of many subjects that fascinated him: his beloved French Revolutions. I am sad that he is gone, but I am happy to hear people’s reminiscences. It is a comfort. I read the words grace, dignity, incredible intellect, but there was a side to Chuck that went beyond these words – they were his little gestures that I hope have not gone unnoticed. Never missing a beat, with that “impish smile” he expertly placed a large coat on my small boy – (while hosting a rather large dinner party and not neglecting the other guests.) He passed a bottle of juice for my daughter without missing a beat while we were attending a lecture. He never appeared bothered by our gypsy band, and often reminded me that he was a grandfather – after all. I appreciated those gestures more than anyone knew, they spoke volumes. Chuck was, on so many levels, a warm and wonderful man. We will miss him very much. Originally posted on the urban sociology and social networks list serves. is always suffused with a deep understanding of how cities and communities operate — in social network terms. 1. Chuck explicitly started me off on the East York studies by getting Toronto to hire me in 1967 to be co-PI of the first EY survey. 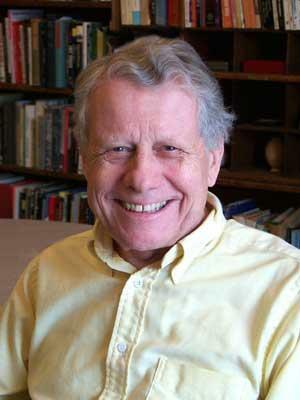 His ideas permeated the research — see his “Community: City: Urbanization” piece in _An Urban World_ for example. His work was seminal for the network conception of community that I have taken and run with. In many ways, I have just been filling in his 1970 research agenda. and write more papers and books. (some note yesterday claimed 51 books written/edited; 600 articles). went to a jazz concert with Chuck/Louise. “Really nice playing,” I said. “His left hand is not as strong as his right,” Chuck replied. then have him say: “What I think you mean are 1. …. 2. …… 3 …., etc.” Out would come a fully-formed analysis. Here are the final paragraphs of my recent review of Chuck’s compendium of essays [Identities, Boundaries and Social Ties] in the _American Journal of Sociology_ (2/08). I wrote it in 2007, and didn’t think of it as an obit. (Chuck was going strong then altho battling cancer), but it will have to stand. did with them” (quoted in John Fraser, “The Essence of Courage,” _Toronto Globe and Mail_, February 23, 1981: A8). In this collection, you can see Tilly continuously revising his work using his “Invisible Elbow” approach to forging a scholarly path (_Sociological Forum_ 11 : 589-601). of miles through blizzards to give a talk at Cornell in 1995, far above Cayuga’s icy waters. Like Two Buck Chuck, this book is great value and of mixed vintage, even if you must get it from Amazon rather than Trader Joe’s. RIP, Chuck. I have many fond memories of discussing ideas — seemingly endless, on your part, at least — with you in Ann Arbor. I will remember those with great appreciation. It seems that there are some generalizable experiences with Chuck: he helped those of us who needed to believe in our work to do so, and he challenged us when we needed to be challenged. were. Nobody else was interested at that time, and the fact that someone as famous and smart as Chuck was so encouraging to a hesitant and insecure graduate student like me made all of the difference. I could be doing something quite different, unhappily so. things as Chuck, but the example he set will always remain. He applied his insights on the social world as he lived. As a result, he left it a far better place. I’m so grateful that I had the chance to learn from him. I was a lowly work-study research assistant for Dr. Tilly in 78-79. We went through contemporary British publications looking for contentious gatherings on pre-historic microfiche readers in an old converted house. My job with Dr. Tilly gave me reasearch experience which I later used in my Urban Planning career, and I was saddened to read his obituary in the Chicago Tribune. He was always very kind to everyone.